These are the USB cables and inductive pads required to connect our standalone loggers to the computer. The inductive pad is ideal for use in wet or harsh environments, and is compatible with Tinytag Transit 2, Splash 2 and Aquatic 2 loggers, facilitating the offloading of multiple loggers using the Bulk Offload Tool. 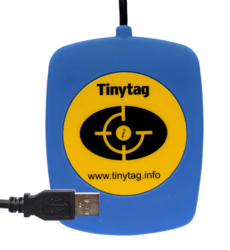 All offload connections are available bundled with Tinytag Explorer software as a Software Pack at a discounted price. 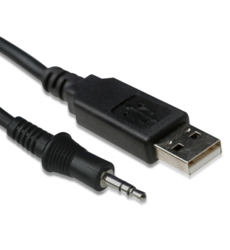 This 1m USB download cable is used with Tinytag Ultra 2, Plus 2, View 2 and Hand-held Thermohygrometer data loggers. 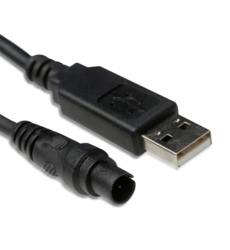 This 1m USB download cable is used with Tinytag Transit 2, Talk 2 and CO2 data loggers. 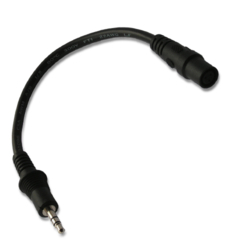 This adaptor plugs into a CAB-0007-USB cable (used with Tinytag Ultra/Plus/View loggers) to allow connection to a Tinytag Transit, Talk or CO2 data logger. Need more information? Call our Support Team today!